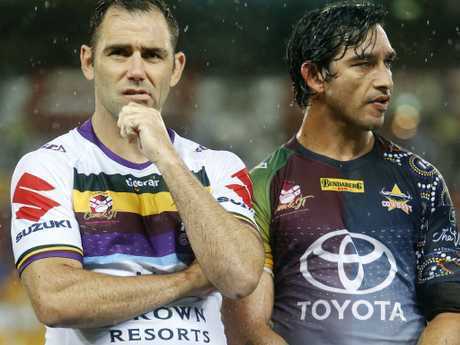 CAMERON Smith reportedly stunned the Melbourne Storm with his contract ultimatum for a two-year deal this off-season. 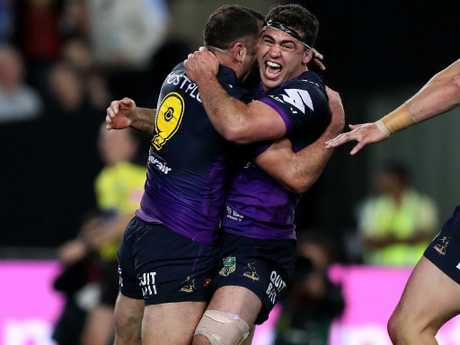 It's now emerged the veteran captain will get to have his cake and eat it too, according to an interview published on Wednesday where Smith claims he has a handshake agreement with the Storm to walk away at the end of the 2019 season if he chooses to. Smith said he may yet decide to hang up his boots at the end of this season, despite reportedly fighting the Storm to get a second year added to the contract he finally signed last month after a drawn out process. The 35-year-old is on track to become the first player in the game's history to reach the 400-game milestone. 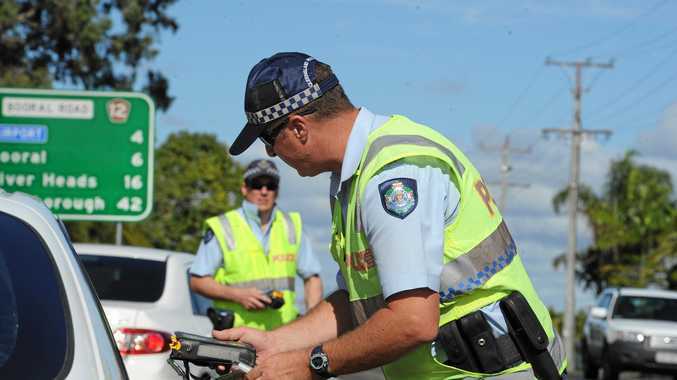 However, he says he is aware the extreme toll of weekly NRL action could catch up with his body at any time. It's why he and the club have come to an understanding that he can retire at the end of this year and surrender the final year of his contract. Cameron Smith is playing on for now. "Just to clarify it, I'm happy to be up front - there's no option in the contract," Smith said. "But when we were having discussions about me re-signing for two years I made it quite clear to everyone involved that I'd be discussing where I was at through the 2019 season with Craig and how he felt I was travelling. "If he felt that it was better to finish off this year then I would take that on board. But before it even got to Craig I would know myself. I would know whether I was happy with my form or whether my involvement or contribution to the team was deteriorating." The revelation comes after reports in November that Smith had given the club an ultimatum to offer him a second year contract - or he would not re-sign. "It's not a case as if Cam's walked in and said 'want two years or I'm walking out'," Storm chief executive Dave Donaghy said last year. "It's also not a case that we've said, 'Here's two years and would you like a foot rub as well'. "For us it's about ensuring the decisions we make into the future are in the best interests of the football club and collectively we all understand that." The game is suddenly looking for some new icons. Smith has since ever denied issuing the club an ultimatum. "I guess they were probably surprised by the request of two years given my age and how long I've been playing now," Smith said in January. "I just think they naturally thought it was going to be a year-by-year prospect. 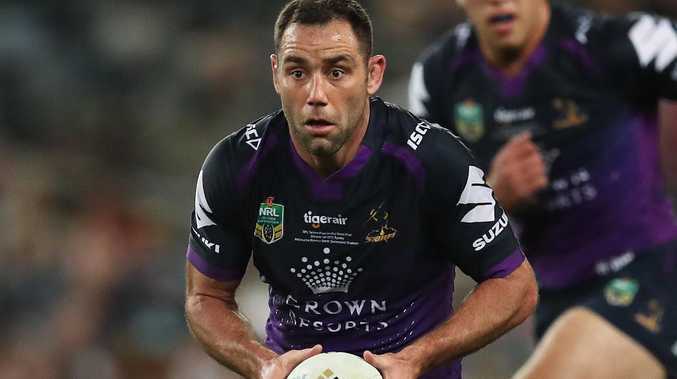 The option for Smith to retire at the end of the 2019 season means the Storm are in a volatile position with their cap, depending on if the former Kangaroos captain chooses to play on or not. Smith said he understands that the club wants to know about his plans for 2020 as soon as possible so they can begin structuring their future cap plans.